Do you know someone who is skilled at using a sewing machine, tailors suits and dresses; hand sews, knits, crochets or weaves, either professionally or as a hobby. If the answer is yes, let them know you appreciate their work by giving them a hand message. The hand is one of the most useful structures in the human body and sets us apart from most other animals. 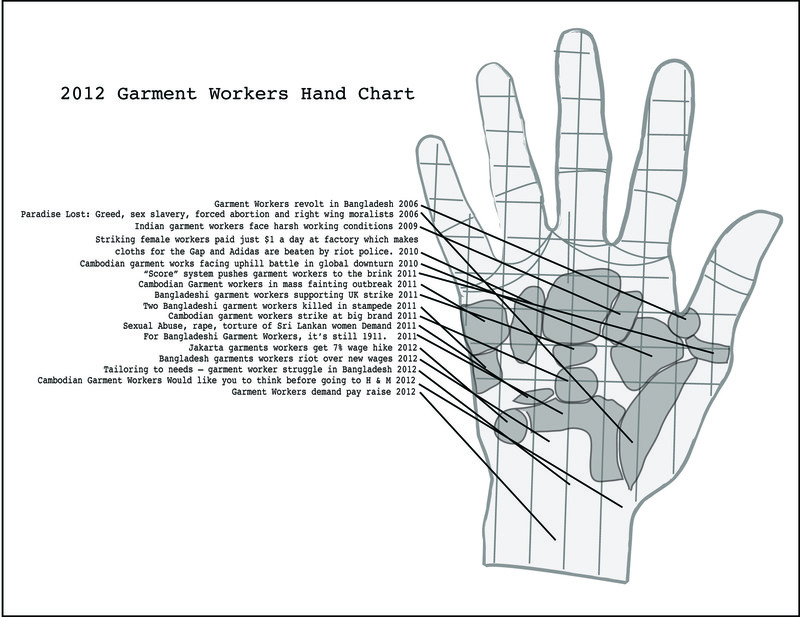 With 19 bones in the hand and 14 small joints for movement and numerous muscles, ligaments and sheaths, a loving hand massage can help a garment worker recover from hours of unappreciated labor. Here are ten simple steps for giving a textile worker’s gentle message to let them know you appreciate how hard they work. 1. Start with the person’s dominant hand, since that hand probably worked harder during their 18-hour shift. 2. Take the hand gently into yours and pour a few drops of lotion onto the top of the hand. 3. Rub the top of the hand gently with a circular motion using all four fingers, working from the large part of the hand up through the base of the fingers and then to the tips of the fingers. 4. Then with your thumb, apply a bit more pressure to the top of the hand, and massage the top of the hand with an up and down motion, working from the wrist area up through the base of the fingers and then out to the fingertips. Apply more lotion if the hand feels dry to the touch. 5. Turn the hand over and pour a few more drops of the lotion candle into the palm. 6. Begin working the palm by placing your thumb into the palm of the hand with your four fingers on the other side of the hand. 7. Gently press around the palm, and the thumb, and use your thumb in a circular motion – first in the palm, then around the base of each finger extending out to the tips. 8. From there, return to the palm, and continue the circular motion down the palm to the wrist. Do this on the entire palm. 9. Shake the hand slightly to check its state of relaxation. The hand should feel loose at the wrist and relaxed. 10. Start all over again on the other hand! After some serious face time with both Isa (of the Mending Circle) and Frau Fiber (SR founder), I think we have our vision for future of SR-NYC. Looking back over the past few years our main concern was that, despite the wonderfulness of seeing the friendly faces of our regulars at monthly meetings, we felt that the original radical nature of Sewing Rebellion was beginning to fade. So in a return to our subversive stitching roots we are going to try something that Isa describes as a surprise present in your email, and I describe as a fight-clubesque call to action (for those of you who are familiar with fight club and naturally concerned, don’t worry, I’m not going to ask you to blow up a bad piece of public art or hit a stranger, I just really like that movie). What we’re going to do is create Sewing Missions, which will appear in your email inbox from time to time with an instruction sheet and a challenge. The challenge might be something like “darn a sock in public” or “teach someone who fears the sewing machine to sew a straight line on one”. We may ask you to do a mission on your own or to get friends to join you. It may involve trusting a stranger, or even teaching one. Over the past month of blog silence we’ve talked a lot with each other about privilege and class, about skill-building and skill-sharing, about what sewing has been and is becoming for different groups of people, and what we want it to be for SR. We talked about how to use sewing to break social norms, class divides, and language barriers. 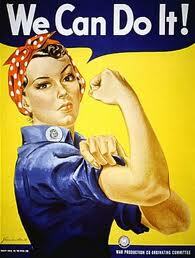 We thought about sewing as a tool for empowerment. So be on the lookout soon for your first mission, and I would love to hear any and all ideas you have for future missions for the group (because I always run out of ideas just when things are getting good). So, for my final fight club parody of the day: We are Jack’s needle and thread. Go forth and sew something interesting.